PDI03JB Joe Bonamassa Signature, DI from Palmer. Palmer and Joe Bonamassa collaborated on the new PDI03JB professional passive direct box for guitar amps. 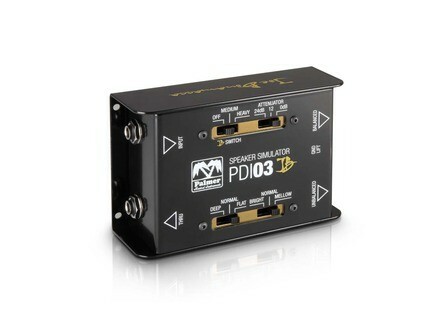 The Palmer PDI03JB Joe Bonamassa Signature connects between the amp output and the speaker and allows for sending the transformer-balanced and rectified direct signal to a mixing console or audio interface. It can handle a power of 200 W and receive instrument and line level sources. 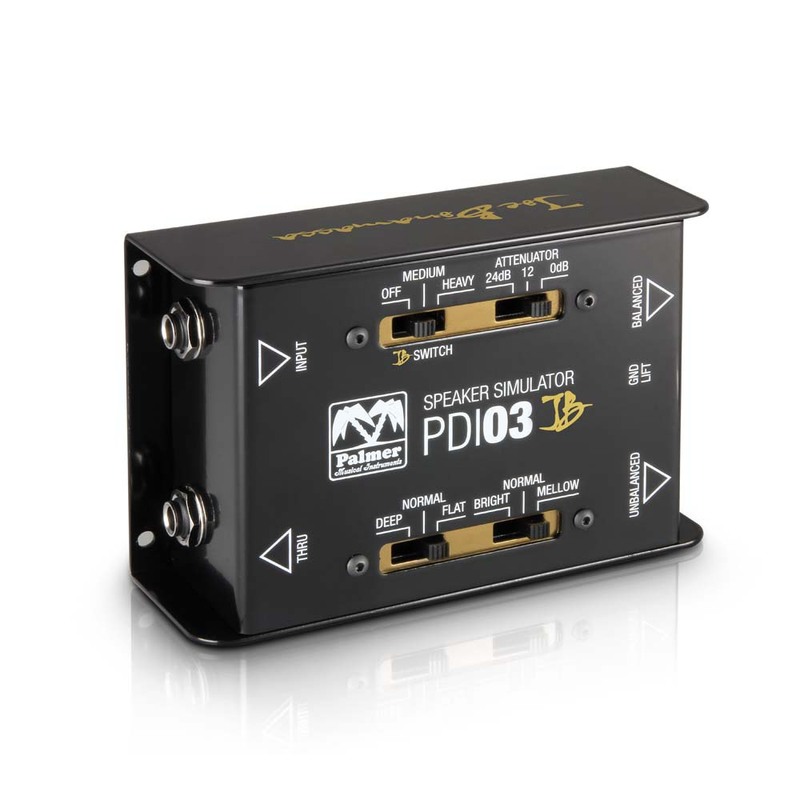 The PDI03JB employs a dual speaker simulator circuit with correcting filters and you can adjust the input sensitivity according to the source. The steel box is provided with 4 switches, including a 0/12/24dB attenuator, Deep/Normal/Flat for the low frequency filter, Bright/Normal/Mellow for the high frequency filter and Off/Medium/Heavy to boost the mids (also known as the JB Switch). A ground lift push button is also available. Connections on the PDI03JB include a 1/4” input and XLR and 1/4” outputs. The Palmer PDI03JB Joe Bonamassa Signature is available for 199 €. More info at www.palmer-germany.com. [NAMM] Grace Design introduces Felix Grace Design will debut at NAMM 2015 the new Felix two-channel mic and instrument preamp pedal. [NAMM] Lindel EVO-6 microphone preamp Lindell Audio will introduce at NAMM 2015 its new EVO-6 single channel microphone preamplifier in 500 format. [NAMM] Blue Microphones Hummingbird Blue Microphones will unveil at NAMM 2015 a new small diaphragm condenser microphone for instruments, the Hummingbird.